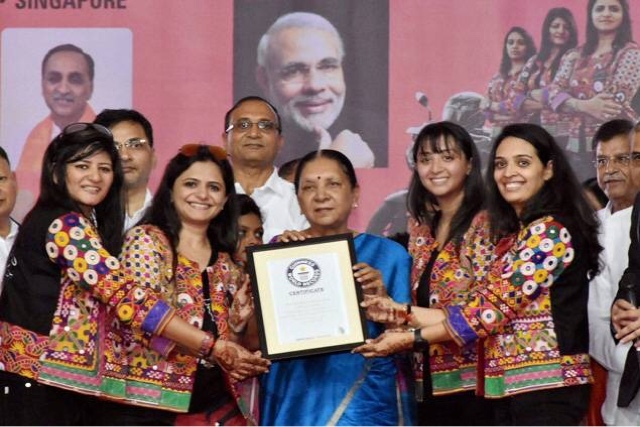 Surat: Ten South East Asian countries will see invasion by four women bikers who are passionate about propagating India's 'Beti Bachao Beti Padao' campaign everywhere. The four-member team will start from Surat on June 4 and conclude the arduous motorcycle journey in Singapore after covering 10,000km in 40 days. Dr Sarika Mehta, 40, mother of a son and a daughter is, doctor by profession; Yugma Desai, 26, is an architect; Khyati Desai, 32, mother of a daughter, is a human resource professional; and Duraiya Papiya, 35, mother of a son, owns a travel agency. Honey Desai is a support rider and a mechanic of the team. Dr Sarika Mehta said, "We have been working for social causes for the last so many years. India-Singapore road link is opening up and hence we decided to spread our 'save the girl child' message among Indian diaspora living in Asian countries." The team decided on the journey after meeting Prime Minister Narendra Modi on May 3. "It took me a month to convince our family members to let us embark on the tour. The Prime Minister's Office helped us out with all the formalities that were needed to be done for our entry into these countries," Dr Mehta said. The four women have been regularly undertaking motorcycle expeditions. They will be using modified KTMC-90 motorcycles for their 10-nation tour and will be carrying petrol with them. The terrain could be difficult because this is monsoon season, but the group is not taking backup staff except a mechanic with them. The trip will start from Surat in a rally in which 15,000 bikers are expected to take part. The group will then reach Kadodara and Mumbai. The four women will fly to Nepal from Mumbai to embark on their bike tour from there which will take them to Bangladesh, Bhutan, Myanmar, Laos, Cambodia, Thailand, Vietnam, Malaysia and Singapore.